Tonight at 8PM est live on Ashveille FM, The UnCola will broadcast Vol. 12 of their Forgotten Pop from the 70s series. 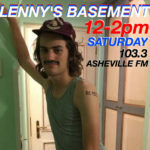 We’ll be playing two hours of music from the decade of exploding Ford Pintos and exploding Gerald Ford.